The Enchanting Tree lives up to it’s name, that’s for sure. 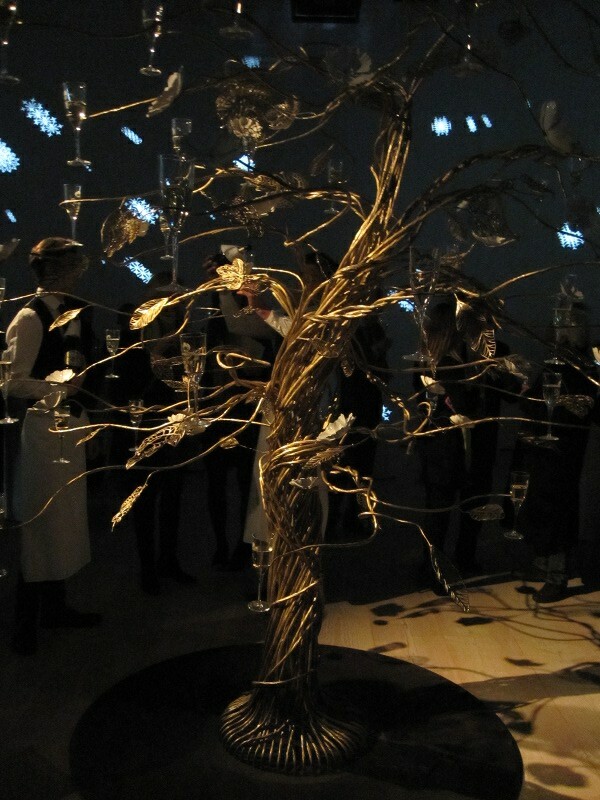 The invitation promised an “enchanting champagne moment” and I have to say I was immediately charmed by the tree dripping with full champagne glasses as I walked into one of the darkened gallery rooms of the Saatchi Gallery. Set in the middle of the room and spotlit by soft lights, the tall metal tree had a glow about it and upon closer inspection, I realized that the branches all ended in slim tendrils that curled into glass holders for flutes, filled naturally with Perrier-Jouet Champagne. The tree is actually a larger version of the ‘flute tree’ that will soon be available for both the on and off-trade. 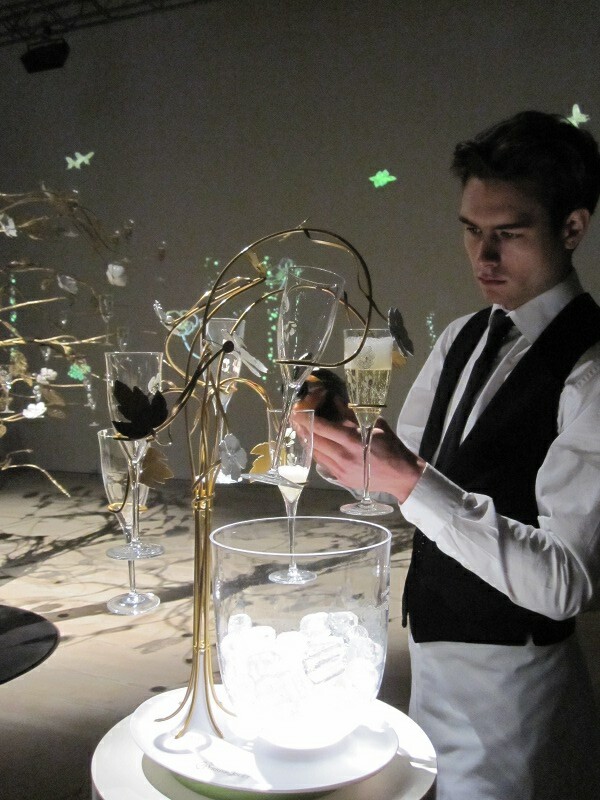 Dutch industrial designer Tord Boontje came up with a design for Perrier-Jouet. 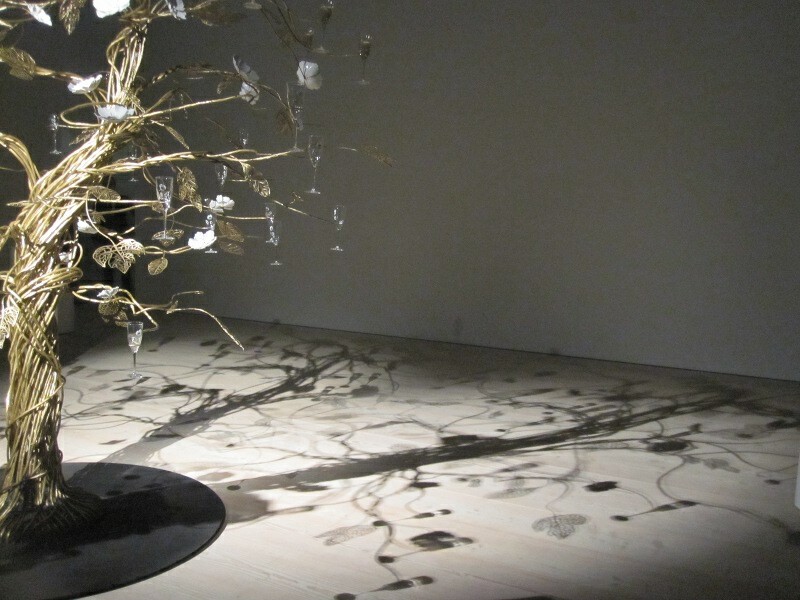 The launch of the tree coincides with the announcement of the Perrier-Jouet Arts Salon and Prize. The aim of the prize is “…to recognise the UK’s most exciting talent in contemporary arts and crafts.” The Arts Salon includes some of London’s most esteemed creative artists and they will be choosing one person in the field of applied arts for both the prize which includes an all expense paid trip to Perrier Jouet’s Maison Belle Epoque in Epernay as well as a £10,000 bursary. Good luck to all those aspiring artists out there. The Financial Times is the exclusive media partner for the campaign so be sure to keep an eye out for more information on the competition from April onwards. 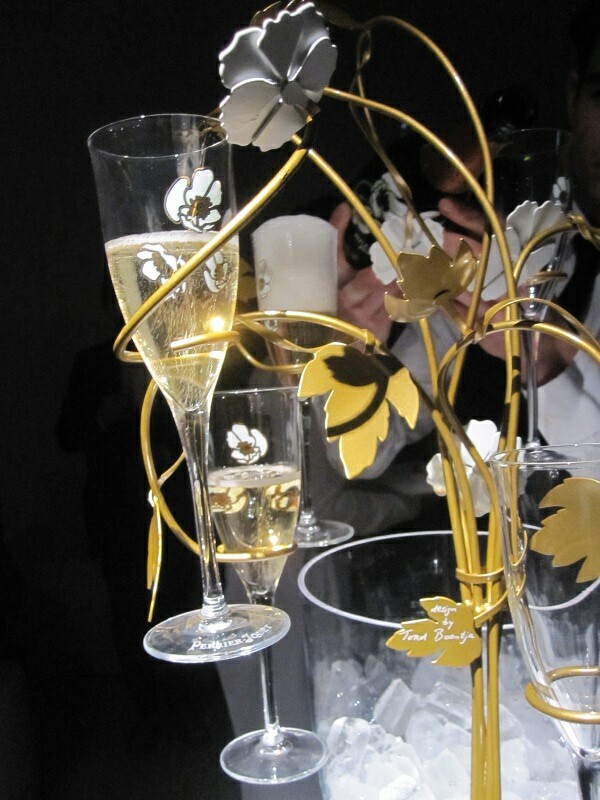 Love the Champagne Tree! I’ve never seen one. The event was the launch of the tree. I know that they will be featuring in bars and restaurants but not sure if that’s worldwide or only in Europe. So keep you’re eyes open for one! I’m opening a wine bar in Bluffton, SC in May. Ths would be an awesome thing!!! If you’d like me to put you in touch with the Perrier Jouet people, please send me an email and I’ll pass your details on to them. It is a really cool thing to have in a bar 🙂 Though probably pretty pricy!